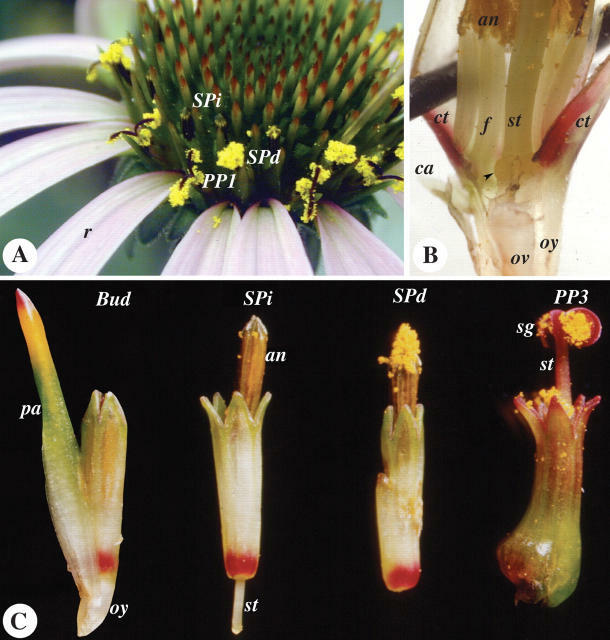 Here’s how that’s described scientifically: The cone-shaped capitulum of E. purpurea begins anthesis with the maturation of the outer, single whorl of sterile, ray florets, which surround multiple whorls of fertile, bisexual disc florets. 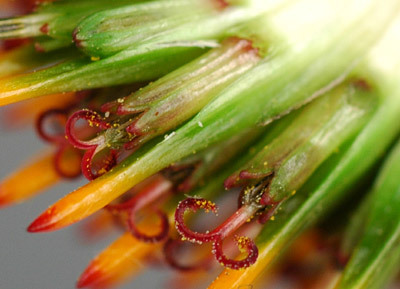 Each disc floret is subtended by a bract, which gives the capitulum's center a “hedgehog”-like appearance. Disc florets mature sequentially, in whorls, from the periphery of the capitulum to the center, with one whorl of florets reaching anthesis (corolla opening) in the morning of each day. •E. 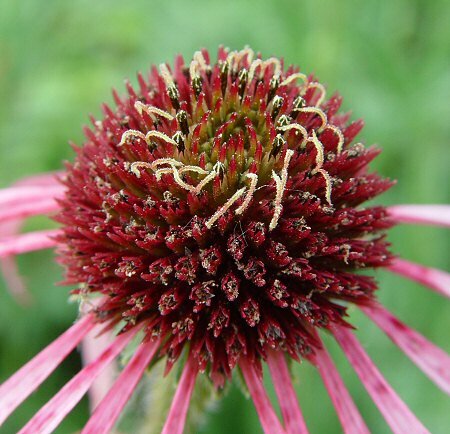 pallida - Pale Coneflower, long and hanging pale-pink ray florets. •E. 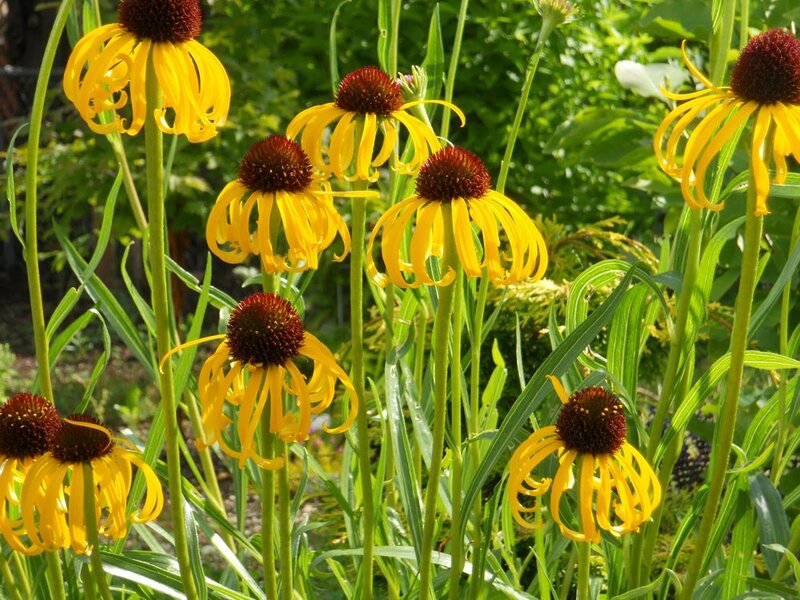 paradoxa – Yellow Coneflower, with long hanging bright yellow ray florets and sturdy stems. •E. 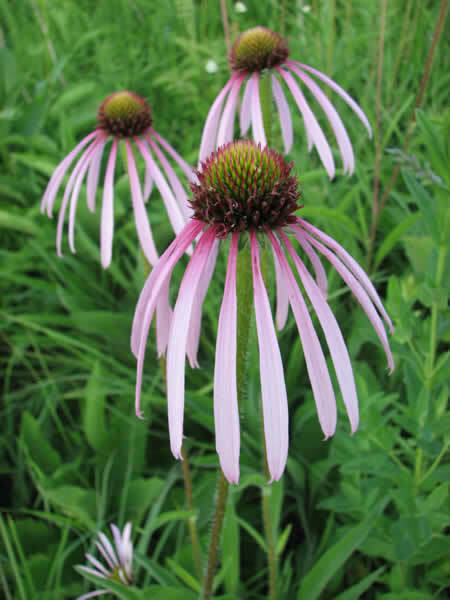 purpurea - Purple Coneflower, originating in open woodlands and prairies, with ray floret colors ranging from pale-pink to dark blue-red. 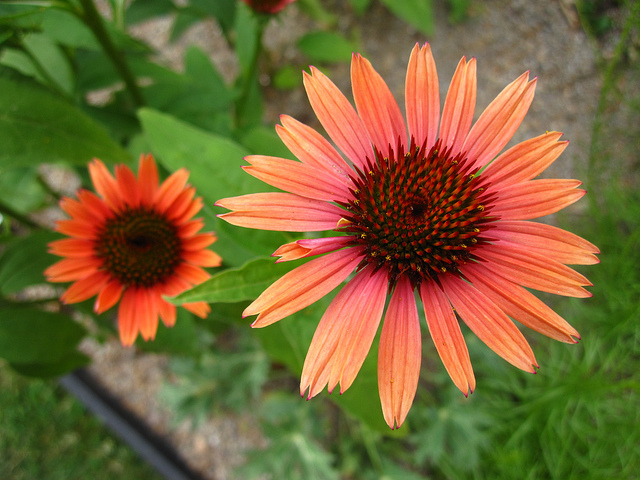 •Some growers also add E. tennesseensis – Tennessee Coneflower, only known to exist naturally on certain glades near Nashville, Tennessee, and on the Federal Endangered Species List. 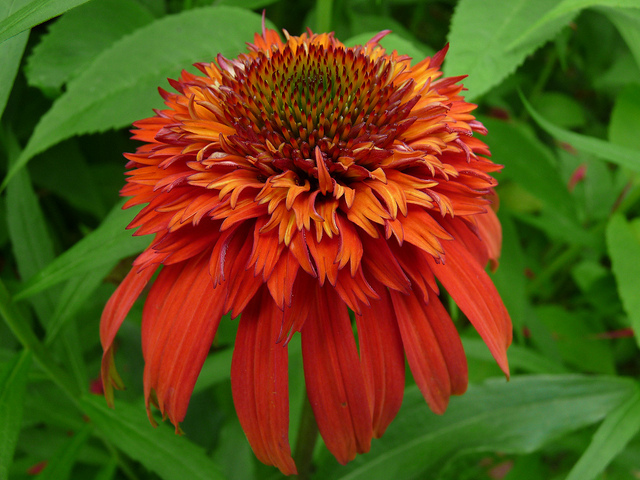 Its ray florets are slightly upturned and the disc florets are coppery with a green tinge. 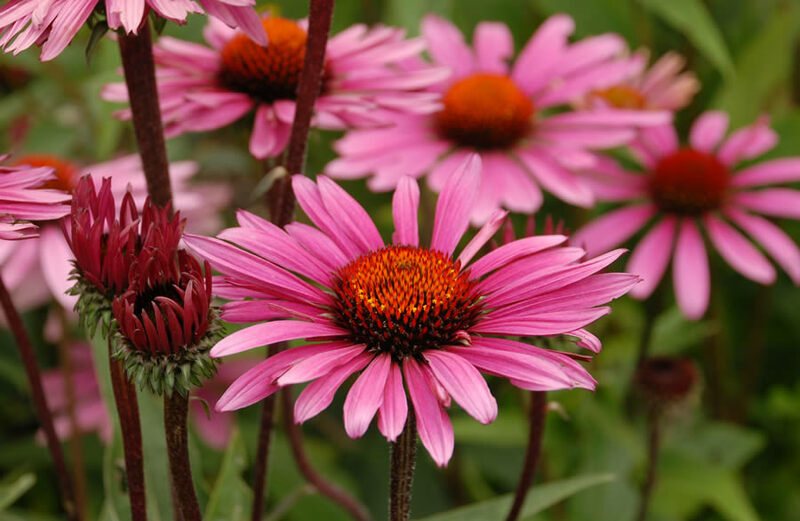 Most Echinacea species have taproots, making them difficult to transplant or grow in containers, and they resent poorly-drained soil. 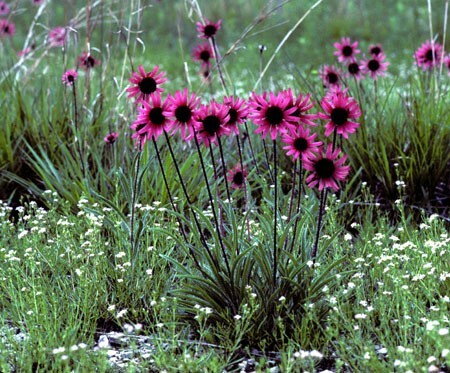 The exception is E. purpurea (Purple Coneflower), which grows in damp or even wet prairies and as a consequence has evolved a more forgiving fibrous root system that functions better in this type of soil. It has a further advantage in that its ray florets are wide and flat, not long and droopy, making it more showy.